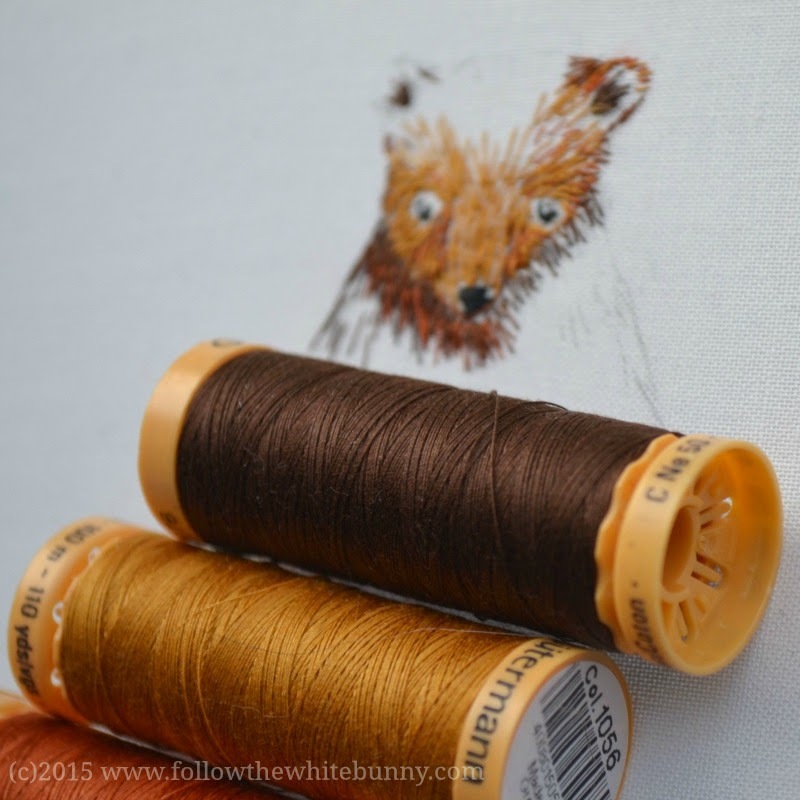 Can you embroider with regular sewing thread? Absolutely! It's probably not for everyone but for quite detailed work it's definitely worth investigating. Just a little while ago I was thinking about trying new techniques for embroidering my furry animals. From different sources I learned that some embroidery artists (including Chloe Giordano, she embroiders the sweetest animals!) use sewing thread instead of embroidery floss or silk. So I ordered a few bobbins in various shades of brown, put a few pencil lines on fabric as a rough guide and started embroidering. So far I'm happy with the results but I really need more shades to bring more subtlety to the shading in the bear's fur. I was at the fabric store the other day and saw spools and spools of gorgeous silk sewing thread. I had the same thought. I love my furry bear, I'm glad to have taken your class Nicole, you're amazing.